Royalty-free vector illustration of a savvy black businesswoman joyfully dropping a coin into a piggy bank while giving the thumbs up sign. She’s got a large smile and is quite proud of herself! Royalty-free vector illustration of a black businesswoman transporting a wheelbarrow full of her gold. She’s wearing a giant grin and there is more money in the background. Awesome! 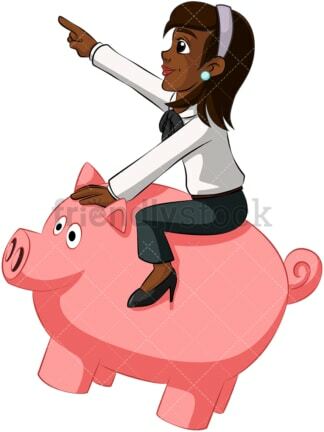 Royalty-free vector illustration of an determined black businesswoman riding a giant piggy bank and charging forward. This lady’s going places! 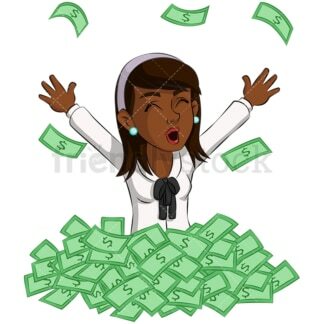 Royalty-free vector illustration of a black businesswoman rejoicing while standing in a mountain of money as she tosses bills up in to the air. Looks like he just made a fortune! 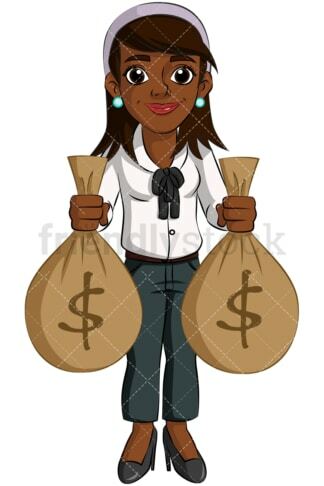 Royalty-free vector illustration of a black businesswoman carefully balancing two money bags with one in each hand. She’s standing up and smiling. Looks like she’s had a good week! 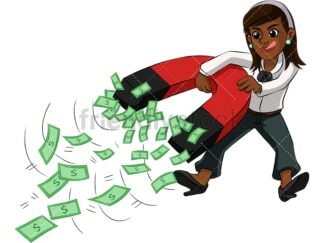 Royalty-free vector illustration of a black businesswoman with a life-sized magnet that’s attracting cash so fast she can’t keep her balance. Tough problems! Royalty-free vector illustration of a keen black businesswoman sitting on cash bags. She’s surrounded by bills and coins. She’s looking very relaxed! 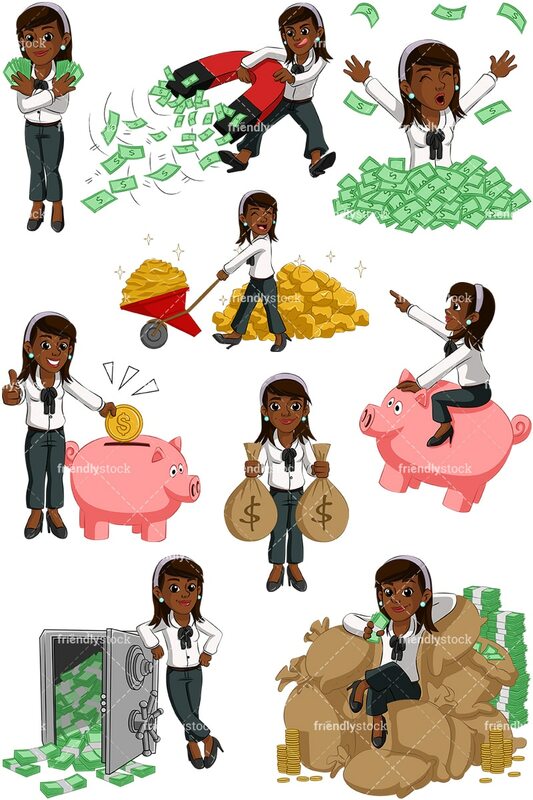 Royalty-free vector illustration of a black businesswoman standing up and showing off her cash. She’s got a content smile, like she wants to help you earn money, too! 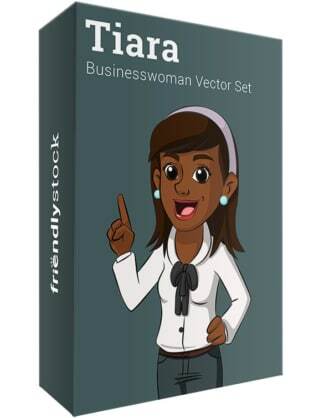 Royalty-free vector illustration of a black businesswoman casually leaning against an open safe as dollars spill out of it. She’s loving her success!